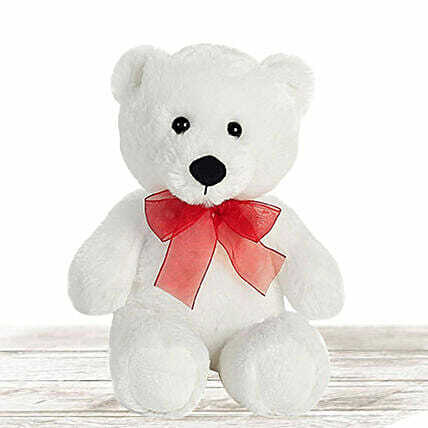 There cannot be any visual more cute and beautiful than this white teddy bear with red bow wrap on his neck.It will definitely steal your heart at first sight. So wait no more and order it online to pamper your sweetheart on her birthday or win her heart on the famous Valentine's Day. Hugging this adorable teddy will offer your lady love the warmth of your affection.